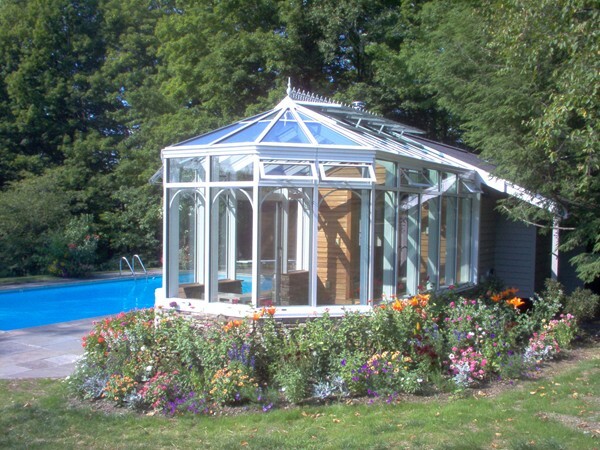 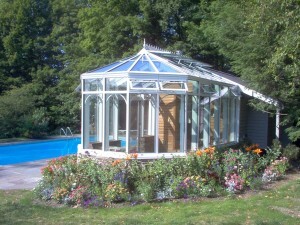 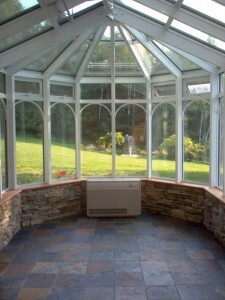 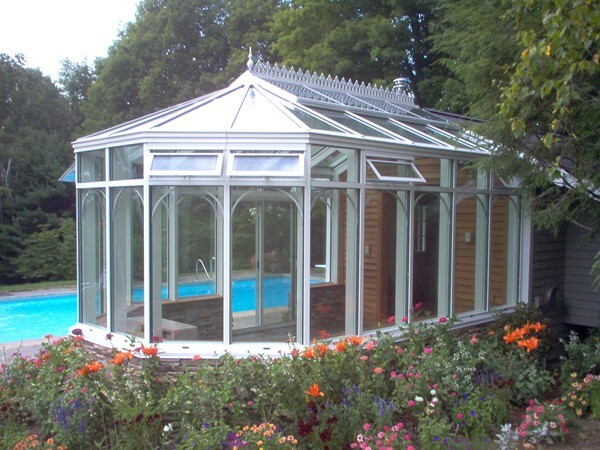 A pool house conservatory cabana. 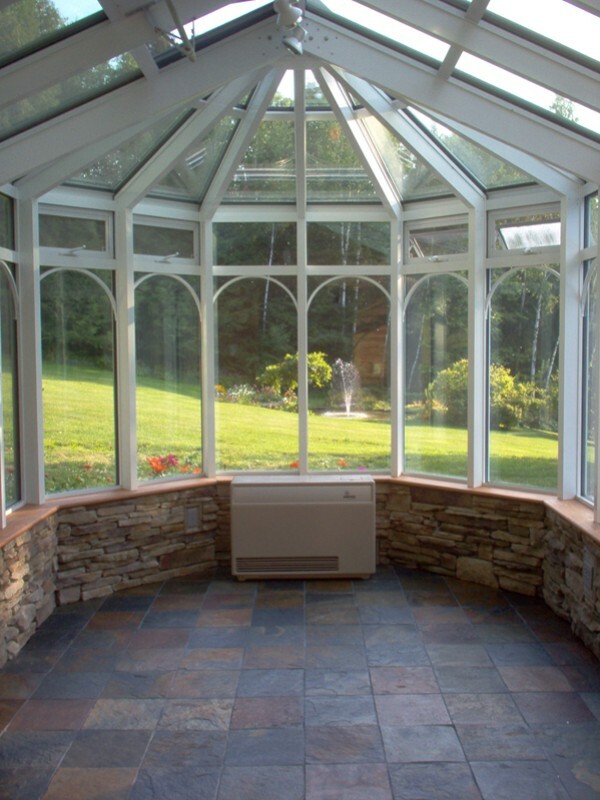 Project features extruded aluminum framing over 36″ base wall with venting windows in transom area, motorized roof vents, and applied arches. Decorative ridge-cresting and finials with clear multi-coat Low-E glazing.